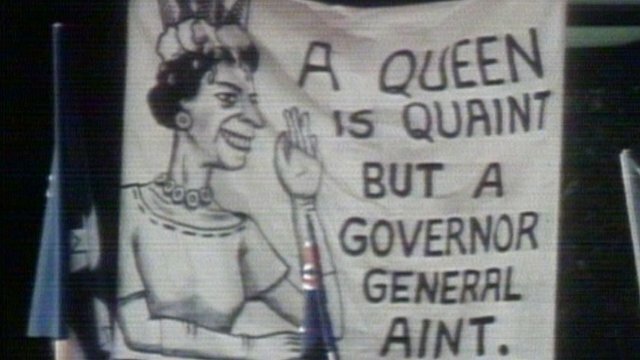 BBC News - Have you been where the Queen's been? Queen Elizabeth II is probably the best-travelled monarch in history. To mark her Diamond Jubilee we have plotted Her Majesty's state and official visits to major cities around the globe over the past 60 years. Use the map or list to compare how many countries you have been to with the number visited by the Queen - 116 (excluding the UK). Then share the result and watch highlights of her tours in the videos below. Select countries you have been to from the list. You will see the the number of countries change in the panel below. Selecting a country on the list highlights its capital on the map. Click on it again to undo. You can also select cities from the map. Only the number of countries will change, so it doesn't matter if you click on several cities in the same country. Share your result with friends and followers. 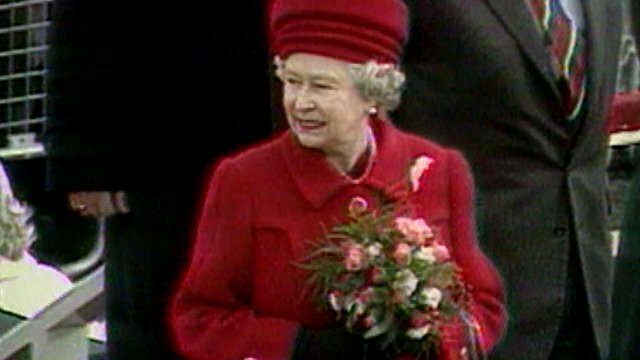 Queen Elizabeth's reign began with her longest ever tour of Commonwealth nations. Between November 1953 and May 1954, the Royal Family visited 13 countries in the West Indies, Australasia, Asia, and Africa, covering more than 40,000 miles by land, air and sea. On its return, thousands flocked to the banks of the River Thames to see the Royal Yacht Britannia bringing home the Queen. Her Majesty and Prince Philip spent six weeks touring the Commonwealth countries of India and Pakistan as well as making a state visit to Nepal. 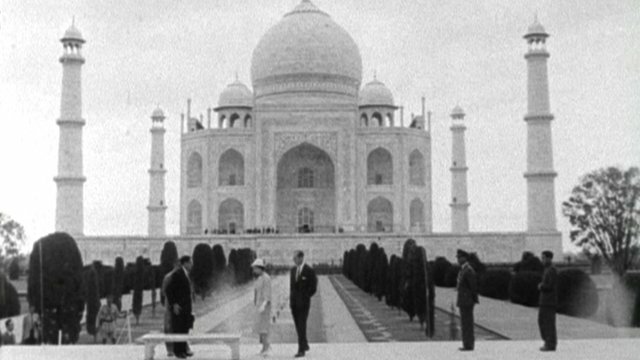 This clip shows the Queen visiting the Taj Mahal, south-west of the city then known as Delhi. She would go on to make two more state visits to India, in 1983 and 1997. The Queen has visited Australia 16 times - 10 of those visits as head of state. 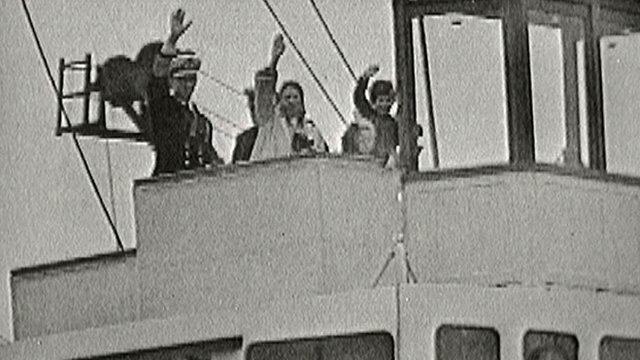 This clip shows her arriving on the Royal Yacht Britannia, and later on, anti-monarchy protesters make their voices heard. Republicanism continued to be hotly debated in Australia until a 1999 referendum which resulted in victory for monarchists. The Queen was the first British monarch to make a state visit to the Vatican. It was seen as a big step towards forging relations between the Church of England and Roman Catholics. 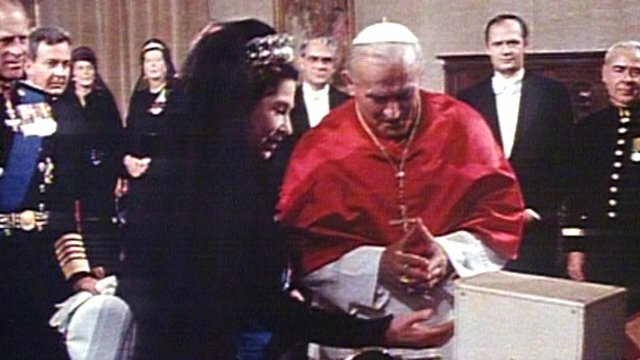 Two years later, Pope John Paul II was welcomed by Her Majesty at Buckingham Palace during a historic visit to Great Britain. The Queen returned to the Vatican in 2000. Keith Graves reports. 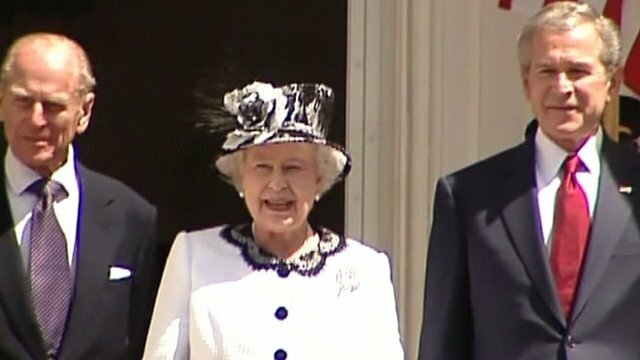 The Queen and Duke of Edinburgh's symbolic visit to Northern Ireland was their first since the IRA and Loyalist ceasefires came into effect the previous year. It was also the first meeting between the Queen and the Roman Catholic Primate of all Ireland, Cardinal Cahal Daly, as well as his Anglican counterpart, Archbishop Robin Eames. Denis Murray reports from Belfast. During the Queen's state visit to the USA, President George W Bush made one of his famous gaffes when he fluffed his lines and suggested that the British monarch had been on the throne since the 18th century. Realising his mistake, he turned to the monarch and winked at her. How did Her Majesty react? "She gave me a look that only a mother could give a child," said the president. Nicholas Witchell reports from Washington.